A loan of $7,000 helped to purchase equipment and materials such as a heavy-duty drum carder and fiber to create inventory to sell. I am a queer mom, and I live with my wife, son, and a slew of pets. I am a mental health advocate and have dealt with depression my entire life. As a teenager, I struggled with drug addiction and was arrested. I turned my life around when I was 16 and started working on of the trauma I had endured. I have been homeless, faced drug addiction, experiences sexual, physical, and emotional abuse, and nearly escaped death on multiple occasions. I am a survivor. Crafting was a huge outlet for me during that time. I attended college and climbed the corporate ladder of Sales in America. I worked for major companies because I was good with at my job, but every year, I would have some kind of mental breakdown from depression, stress, and burnout, I would have to leave the company because of my inability to function, and disability wasn't available for mental health. The ability to be flexible with my schedule and work from home is absolutely paramount to my well being. If I need to take a day off work to deal with my feelings, I have the flexibility to do so as an entrepreneur. I've always had the ability to hustle and sell. It's why I was good at corporate sales. But I don't want to sell truck driving services or real estate software. I want to mesh my creativity with my entrepreneurial spirit and work from home so that I can give myself the gentleness and grace I deserve. I have an incredibly strong work ethic and have always been a top performer. Selling random services for a corporate company didn't feed my soul. This business of creating for fellow creators does. It helps bulk up supplies to create an inventory ready for the holiday season! Victoria Crossman began working for Abby Franquemont four years ago at her brick and mortar studio. Victoria left the studio to try her hand at corporate America and after a few years decided she’d rather be an entrepreneur working for an entrepreneur. Victoria is a sub-contractor for Abby Franquemont, making her classic “Abby Bats.” She is involved in many different activities including the actual production of inventory, packaging, and shipping physical product. Other duties include listing inventory online, updating social media, remaining present online for questions, creating advertisements, etc. The production consists of selecting different types and colors of fibers to blend together using a large electric drum carder. The fibers are blended together to create luxury blends for people who spin yarn. These items have sold consistently for years, and inventory moves rapidly. Victoria strives to serve the fiber community with amazing blends that are fun to spin and create beautiful yarn, no matter how it’s spun. I began training under my mentor five years ago, and had the ability to run her studio. I was also her production manager. I created inventory to sell online and in the storefront using specific heavy duty equipment. I left that job after college. I have recently decided to leave corporate America five year later and am working with my mentor again. I am currently driving 80 miles round trip each day I work using her equipment and materials. As a result, I am also financially making a lesser percentage per unit, deeply affecting my ability to provide for my wife and son. A Kiva loan will help me to purchase equipment and materials, as well as the ability to work from home. Working from home with my own equipment and materials will allow me to stay home with my family, and spend time with them. I plan to use the loan in the following ways: $3000 - Drum Carder, $1000 - Fiber Materials (wools, silk, etc. ), $1000 - Workspace Storage and Organization, $1000 Tools and Notions for Equipment, $1000 Printer, Packing and Shipping Supplies. Once I have the necessary equipment and materials, I will easily be able to make a profit of $2000/month to begin and will scale up as business increases. Why are you endorsing Victoria? Victoria has an amazing story that shows at every turn a remarkable, brilliant, strong, woman determined to find a way to support her family and her community. She has the technical skill to create high end fiber products, the artistic eye to make those products beautiful and desirable, and the education and training to build this as a sustainable business. She also has a strong personal network including an experienced and knowledgable mentor who is committed to seeing her through this process. 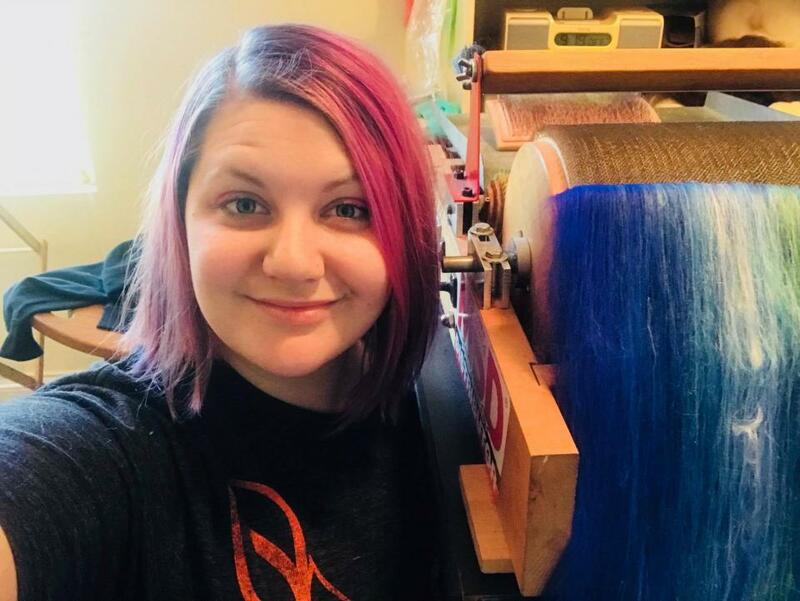 I believe that supporting Victoria in building her business is going to benefit her, her family, and her community long-term - as well as result in more beautiful yarn!